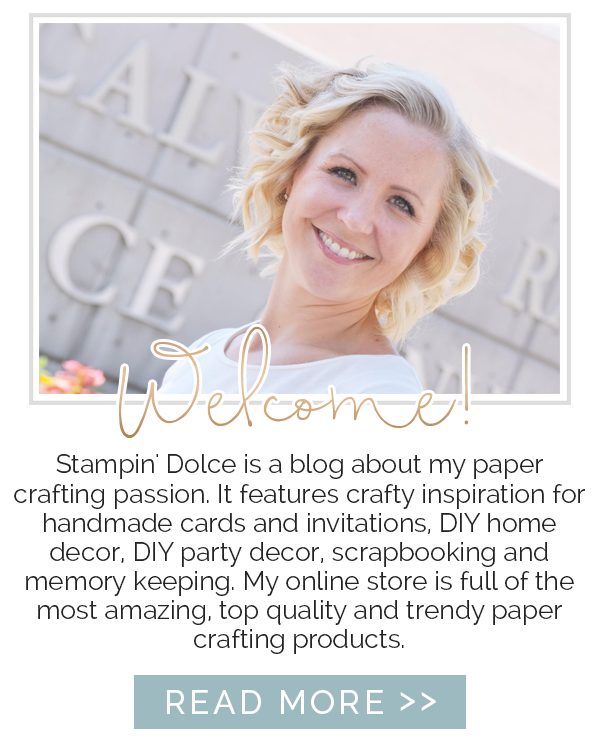 Welcome to a special edition blog hop with the Stampin' Up! Artisan Design Team. 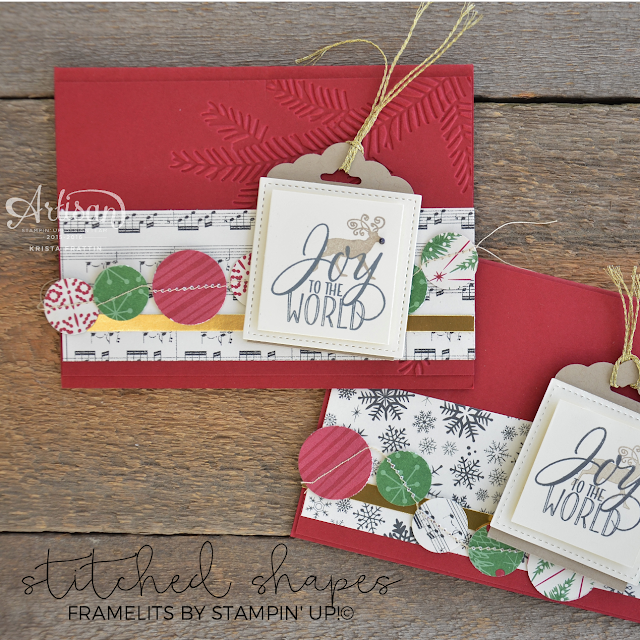 Today we are sharing projects created with the exciting new Stitched Shapes Framelit dies! I created a number of projects for you today. 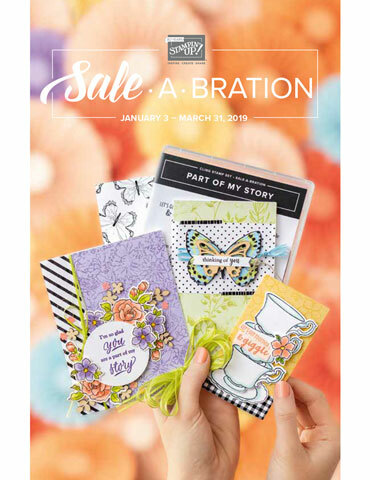 Each month my stamp clubs get to create two handmade cards, 2 scrapbook pages or 2 project life layouts. I create all three of the projects with the same design and products. 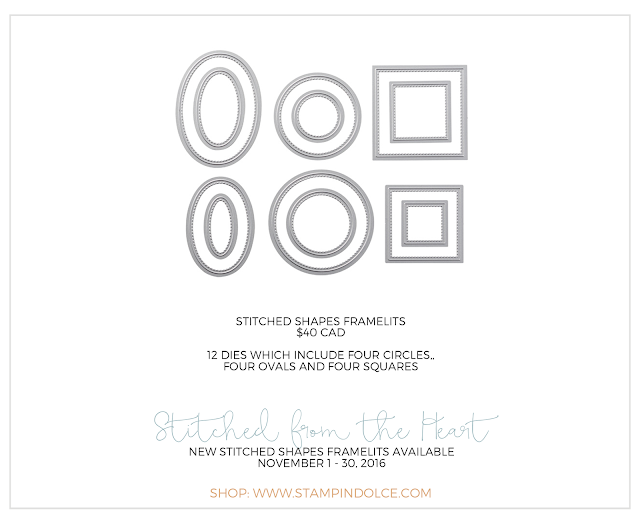 Take a peek at what we are creating in November!! For my third card I tried to get a bit creative. My vision was to create a simple postcard. I stamped the front with the Wonderful Year Stamp Set and heat embossed it with Copper Embossing Powder and a Heat Tool. 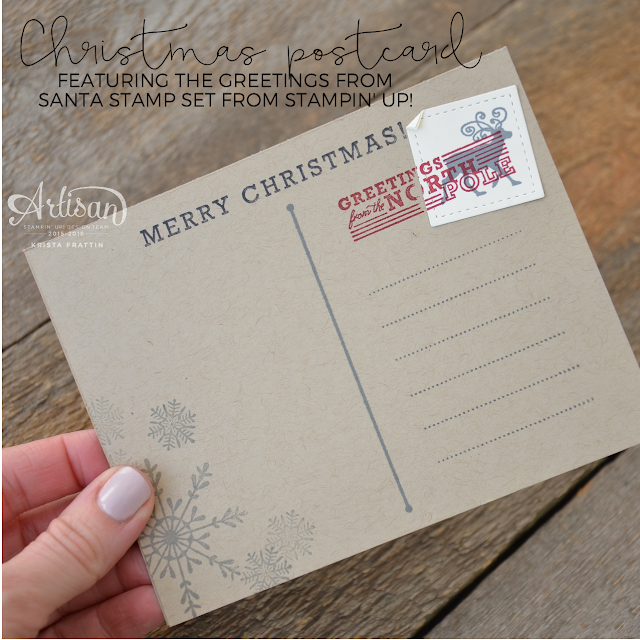 I stamped the back side of the postcard with the Greetings From Santa Stamp Set. It is perfect for a postcard! Adding the smallest square from the stitched shapes framelits was the perfect touch for the mail stamp. Before I go I have one quick Project Life tip for you. 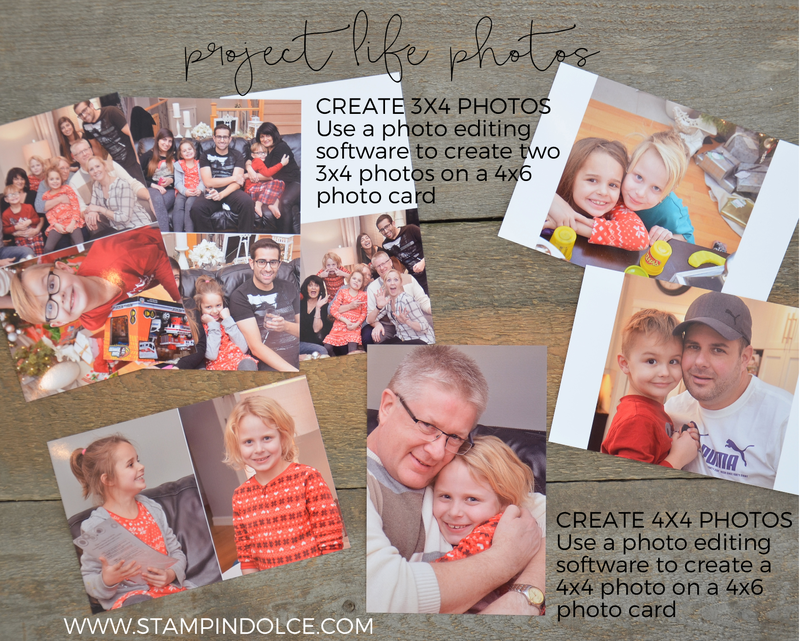 Cropping your photographs to fit the Project life pocketed sleeves can be difficult. It often means that you are cutting off an important part of the photograph. I use graphic software or photo editing software to create a 4x6 layout. In the layout I collage two photos, at 4x3 each, then print the 4x6 photo card with my home printer or with a print service. To create a 4x4 image I do the same. I know you are going to ask what software I use ... I use My Memory Suite. 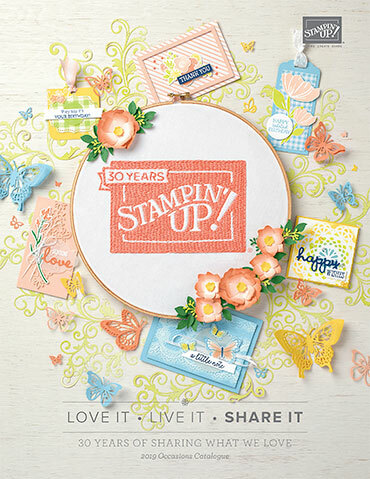 This is the software sister to the Stampin' Up! 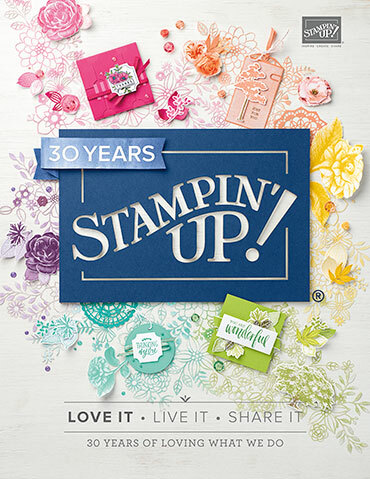 My Digital Studio's that we offered years ago (Stampin' Up! does not offer digital software any longer). 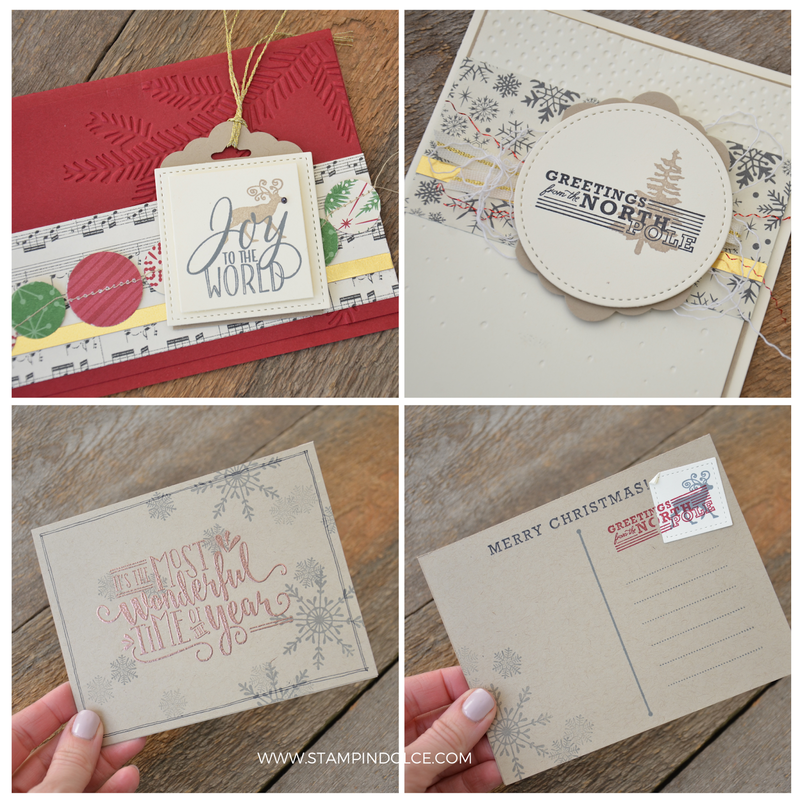 Next on the blog hop is the talented Marisa Gunn. Click over to Marisa to see what she has created with these new Stitched Shapes Framelits. Thank-you for visiting and making it through this long blog post. The Artisan Design Team will be back with our next blog hop on November 16th, 2016. Have a creative day!